Guilluame’s poster for the Theâtre de l’Ambigu’s production of ‘Gigolette’. A very popular caricaturist as well, who contributed frequently for different French periodicals (including Le Rire). 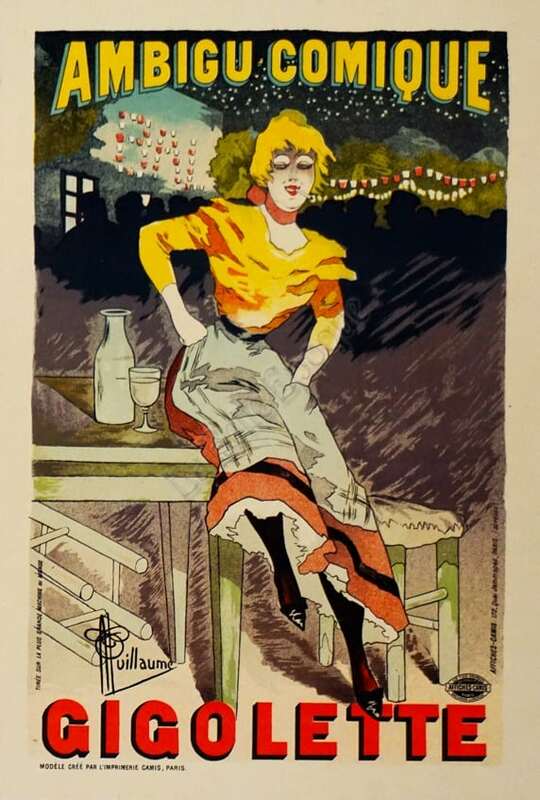 He became famous for his accuracy in capturing the varied types of Paris, as seen in the fetching pose of the free spirited working class girl set against a silhouetted crowd and the coloured lights of the night.